Seventh batch of upgraded An-32 aircraft delivered by Ukraine. On March 29, 2014 Ukraine delivered the seventh and penultimate batch of five upgraded An-32 to India. The aircraft were flown from Kyiv in Ukraine to Kanpur in India under special arrangements made with Ukraine's European partners to permit the military aircraft to fly out of the country which is at loggerheads with Russia. In July 2009, India and Ukraine signed a contract worth around $400 million for deep upgrade to the IAF's fleet of 105 An-32 aircraft. Under the contract, 40 aircraft are to be modernized in Ukraine and the rest of the aircraft at the BRD-1, Kanpur. Ukraine’s Antonov Plant and Civil Aviation Plant 410 are executing the contract. The upgrade will make the An-32 lighter and more fuel efficient, and includes fitting of collision warning equipment, ground proximity early warning equipment, satellite navigation system, aircraft rangefinders, modernized height finders, new radar set with two MFDs, new oxygen equipment, and modernized crew seats. Upgraded An-32 will be able to land making an ICAO category II approach. 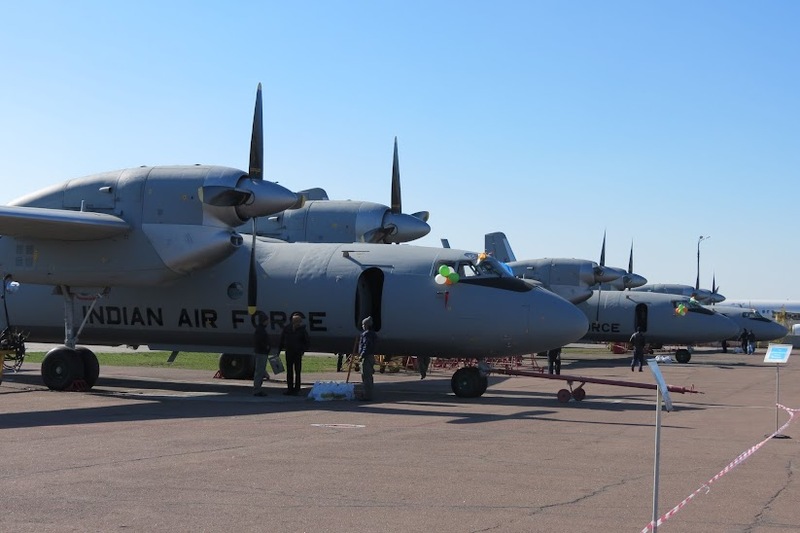 In December 2009, India signed a separate three-year contract worth $110 million with Motor Sich OJSC (Zaporizhia) for upgrade of the AI-20 engines fitted on the Indian An-32s. Ukraine delivered 10 upgraded aircraft to India in 2011, 2012 and 2013 each. The last batch of 5 upgraded An-32s was delivered in August 2013. As of today, 35 aircraft, out of the 40 to be upgraded in Kyiv have been delivered. The supply of the final batch of 5 aircraft is scheduled for the summer.